2014 marks the introduction of a new sizing system based on a database of bike fittings. Using our database of bike fittings helps better predict the frame dimensions for a bike size in a given height range. 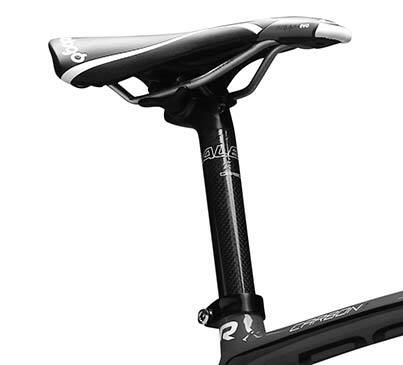 To use an example, our 56cm Revenio was designed using fit data from riders between 5’9” and 5’11”. The fit data is used to develop the geometry, but also determine correct handle bar width, bar reach, bar drop and crank lengths. The Raleigh Sizing System allows both customers and sales staff to determine the correct size quickly by checking the size decal that is on the bike. 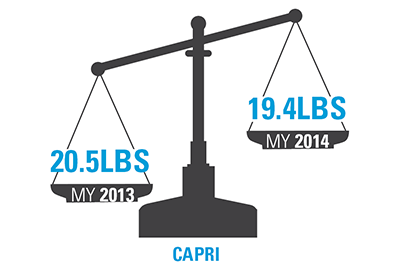 All Capri bikes are lighter for 2014! All parts of the bike are interconnected. Being able to fine-tune these parts synchronizes you with the bike. 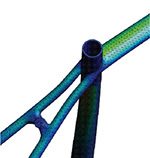 That's why we are introducing a new 20mm offset seat post for our road bikes. This adjustment (12mm more than last year) slightly shifts the rider position and complements the new geometry to produce big results: relief of arm, neck, and lower back stress. All Capri models feature revamped forks for improved stability and handling. All of the Capri carbon 2.0's and above are spec'd with Raleigh custom all-carbon Monocoque tapered steerer forks. Other bikes in the fleet have either a new carbon-bonded 1.5" taper fork or a new chromoly fork (for the Capri 1.0). We have created these new forks to give these endurance bikes the quick handling they deserve. All forks feature a 50mm offset to complement our new frame geometry. We adjusted the bikes' head angles to work with this new fork, and the result is a responsive, precise ride without any toe-overlap with the front wheel. The wheels bring a spark of life to a bike, and all 2014 Capri models are lighter, faster, and more stable with upgraded wheel sets. All wheels are stiffer and feature premium hubs and wider rims. All hubs are either Formula sealed-bearing hubs or new Formula hubs with Smooth Bearing Technology and CNC-machined dust caps to keep out the elements. The newly designed lightweight rims will either be the 23mm Weinmann Gmax, or the 21mm Aerodynamic Momentum. These upgrades allow riders to run lower tire pressure with less tire roll. This will enable faster and more confident cornering. We love data, especially when the information gives us a competitive edge. We used the results from Finite Element Analysis (FEA), also known as "strength analysis," to optimize strength and stiffness as well as comfort. 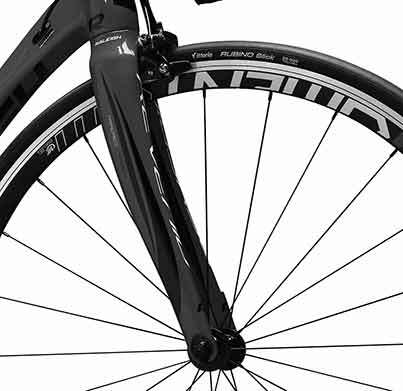 Consequently all 2014 aluminum and carbon Capri frames feature updated seat stays, top and down tubes, and increased stiffness in the right spots for highly efficient and extremely comfortable road bikes.